The U.S. Centers for Disease Control and Prevention (CDC) has released a new report regarding the growing number of Lyme disease cases spreading across the country. Researchers warn that Lyme disease is now being recorded in states that have never dealt with the disease before. Even in the northeast regions of the country where Lyme disease is already more common, the number of incidents has increased by more than 320% over the past 20 years. New Jersey used to be known as the Lyme disease capital, but more cases are now said to be popping up in the Mid-Atlantic and Midwest states, including high-risk regions in New York, Connecticut, Maine, Vermont, Massachusetts, Virginia, and Michigan, among others. According to the CDC’s report, the biggest reason for the spike in Lyme disease cases is climate change—the warmer weather is driving many of the ticks that carry the disease into other regions. It’s also being impacted by forest clearing. Ticks often live in dense forestry and are prey for white mice. But the increase in deforestation has killed off a lot of the mice. This means as humans enter the forested terrain, ticks have a new batch of victims. Lyme disease is caused by a bacteria carried by blacklegged deer ticks—the bacteria is passed on when an infected tick bites. Symptoms of the infection often include headaches, high fever, fatigue, and rashes. Lyme disease can usually be treated with antibiotics, but if left untreated, the infection can spread to the heart, joints, and nervous system, causing serious long-term effects. 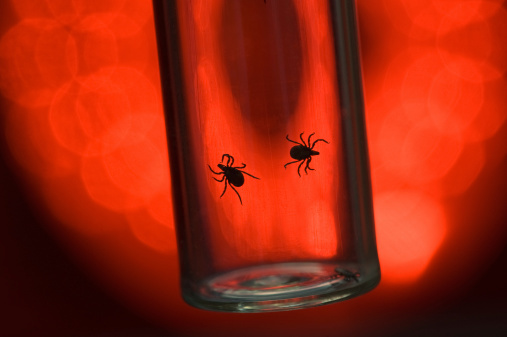 Basu, T., “Lyme Disease Has Surged 320% in America,” TIME web site, July 15, 2015; http://time.com/3959736/lyme-disease/. Haelle, T., “Lyme Disease Cases Rising in Affected Regions,” Medscape web site, July 16, 2015; http://www.medscape.com/viewarticle/848110.